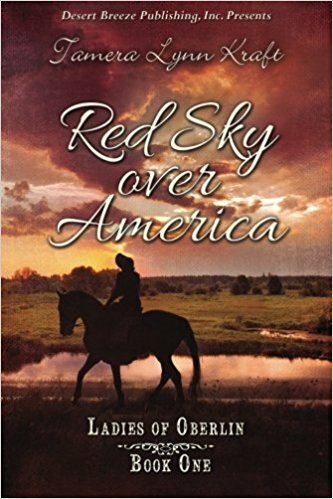 In Red Sky Over America, William and America confront evil, but will it costs them everything? 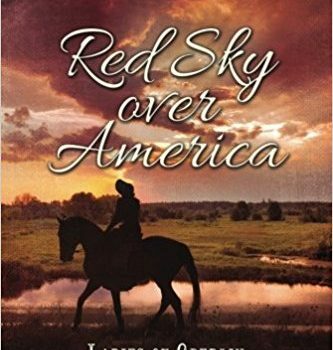 This novel takes place during a difficult time in America’s history, prior to the war to end slavery between the North and the South. Our main character is a young woman, America, who is the daughter of a slave owner. She goes away to Oberlin College which helps to foster her ideas of abolishing slavery and freedom for all people. From a young age, she has known that slavery is wrong but she has been afraid of hurting her Father and feared his anger. Almost finished her studies, America decides to return home and confront her Father at last. She was not ready for the extreme response from her Father and those that she loves around her. She is shocked by her Father’s actions towards the slaves that she has always viewed as family and vows that she will not stop until slavery is abolished. He truly believes that what he is doing is for America’s future and well-being, keeping their family history alive never understanding that a future built on other’s suffering is not what America wants. She embarks on a journey of helping slaves escape and her classmate (who also happens to be someone she is greatly attracted to for his convictions) William is tied into her future. William preaches at churches throughout Kentucky to abolish slavery – which in many places as we were to find out is almost a death sentence. This is an excellent story of faith and hope during a time period that held very little. America was strong in her convictions but sometimes lacked the confidence and strength to follow through. As the case with many women during this time frame, she was stuck under the wings of her Father’s decisions. With William, she was free to make her own decisions and give her opinions – opinions that were much in line with his own. I loved every moment of this powerful book, I cried at times and other times my heart was full of hope. It is a beautiful story in a dark time.